Let me just start out by saying that when you appeal your property tax, it is not the actual tax that is being appealed. The tax rate is what it is and can’t be challenged. what you CAN appeal is the assessed value that your property tax is based on. While changes in assessed values can be influenced by market values, they are not the same thing. Assessed value is recorded, updated, and kept on record by the county, and is really only relevant to determining property tax bills. Every year the county reassesses what the value of your property is, adjusting it up or down by no more than 2%. Since property values tend to rise over time, that 1.25% (the property tax rate in Orange County) represents a larger dollar amount every time the assessed value increases. So the first step is to determine what your assessed value is. You can get this information from your tax bill, checking with the county, or you can just ask me. Once you know your assessed value, do a little digging to determine whether or not the value is in fact a fair assessment. If it looks like it has increased too much, then you can actually appeal your property tax by challenging the assessed value. Every year local governments throughout California issue new property tax bills on all of the real estate they collect taxes on. All counties charge a certain tax rate and some cities tack on additional taxes. If you live in Orange County, don’t worry. None of the cities here charge additional property taxes. If you believe that your assessment is too high, it is important to act quickly. Your application to appeal your property tax must be filed between July 2nd and November 30th. Also, if you are appealing a special assessment than the deadlines are different. You must submit an appeal application within 60 days of a Supplemental, Roll change, or Escape assessment, and within 6 months of a Calamity or Misfortune assessment. 1. Is Trying to Appeal Your Property Tax Worth It? The median home value in Orange County is $607,900, but the median tax bill is only $3,404 which works out to an average effective tax rate of about .56%. This is because homes tend to appreciate in market value faster than the assessed value increases. So, if your annual property taxes are less than 1.25% of your home’s value, then you should NOT appeal your property tax, as they may just decide to readjust your assessed value upward! But if you just bought your home and your assessed value went up from, say, $600,000 to $610,000, but values in your neighborhood did not actually increase at all, then you can make a good case for an appeal. That $10,000 increase translates to a $125 increase in your taxes (or about $10 a month). It doesn’t seem like much, but I personally believe you should appeal whenever you can. Remember, since your taxes can increase every year, you will start to see a compound interest affect on your tax bill over time. Anytime you can appeal an increase, it will help you slow down this affect. Sometimes, a tax increase can be due to a clerical error. Check your tax bill to make sure that they got all the property info right. Are the numbers of bedrooms and bathrooms correct? What about the square footage? If the facts are listed incorrectly, then you can probably appeal your property tax pretty easily. In order to make your case you will need to collect examples of comparable home sales as evidence of what your real assessment should be. You’ll need to find the most relevant comparables, or “comps” that you can in terms of size, bedrooms, bathrooms, and location. There is also a 90-Day Rule for comps in Orange County. This means that your comps must not be later than 90 days after January 1st of the year for which you are appealing. You can further than 90 days in the backward direction, but the comps closest to January 1st will take the highest precedence. Once you know which comps you are using, lookup the assessed values of these homes and compare them to your own. To find the assessed values of these homes you can look through county records, search online, reach out to your neighbors directly, or just ask me. If the assessments on the comps are lower than yours, you can make the case that your assessment is too high. Even if the assessments are the same as yours, you can sometimes use mitigating circumstances to make your case. If your neighbors have made value -enhancing renovations, or your home has suffered unique damage, you can use this to argue a value disparity between the homes. Now that you’ve completed your research and gathered evidence, it’s time to plead your case. A good first step is to reach out to the Assessor’s office directly to discuss your assessment. You can ask the assessor to do an informal review and provide your data and rationale for why you think it should be less. If the Assessor sticks to his guns, it’s time to formally submit your appeal. You will submit your application for appeal your property tax assessment to the Clerk of the Board. The clerk will then review your application to insure that it is complete and filed correctly. There is no fee to file an application in Orange County. The clerk will then schedule a hearing for you to plead your case either to the Assessment Appeals Board, or a Hearing Officer. You get to decide whether you want to appear before the board or an officer. Hearings are scheduled on a first-come-first-served basis. You should generally expect your hearing to be about 6-9 months from your application date. You can read more about the O.C. property tax appeals process here. Also, check out some of the forms you will need here. 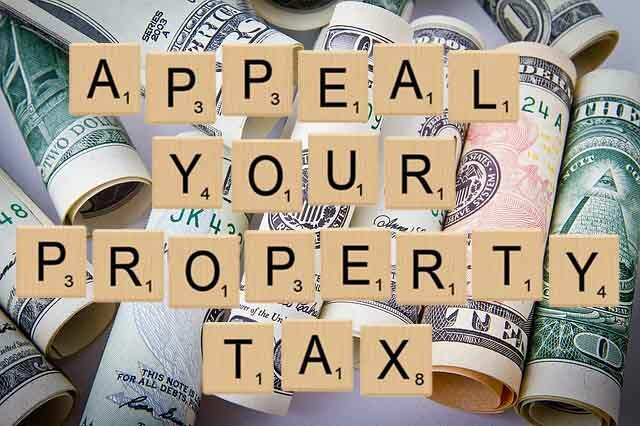 Posted in Real Estate and tagged appeal property taxes, appeal your property tax, appeal your tax assessment, assessed value, assessed value taxes, effective property tax, find assessed value, find comps, how to appeal your assessed value, orange county property taxes, property tax, using comps to appeal property tax.